Percutaneous nephrostomy (PCN) is associated with a higher spontaneous stone passage rate compared with retrograde ureteral stent (RUS) placement in patients with hydronephrosis secondary to ureteric stones, a new study suggests. PCN also is better tolerated and associated with fewer urinary symptoms, according to investigators. 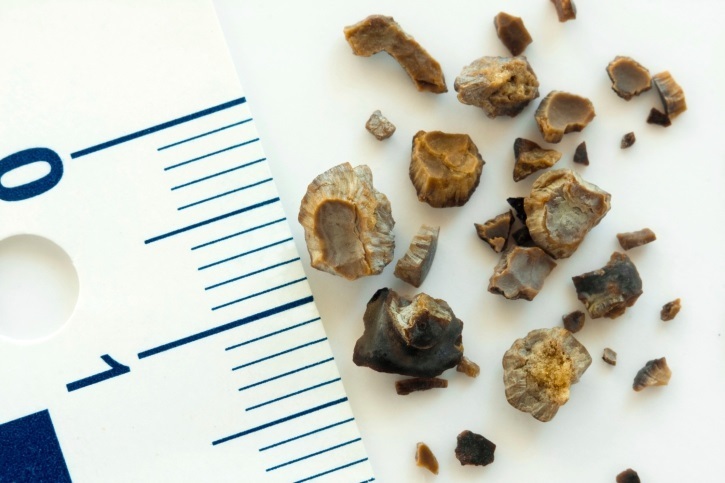 Nuno de Sousa Morais, MD, of Hospital de Braga in Braga, Portugal, and colleagues conducted a prospective trial that included 50 patients with hydronephrosis secondary to ureteral stones who required urgent urinary diversion. The investigators selected 18 for PCN and 32 for RUS placement. The PCN group had a larger stone size than the RUS group (median 92 vs 47 mm2). The spontaneous stone passage (SSP) rate was higher in the PCN arm (38.9% vs 25%), Dr Morais’ team reported online ahead of print in Urolithiasis. On multivariable analysis, PCN was associated with significantly greater odds of SSP compared with RUS, after adjusting for stone location, size, and previous ureteral manipulation and expulsive therapy. In addition, 30.2% of stones had an upward displacement associated with retrograde endoscopy, the investigators reported. They observed a significant decrease in pre- and post-intervention quality of life in the RUS group, but not in the PCN group. Patients in the RUS group had more urinary symptoms than the PCN group, mostly hematuria (68.7% vs 16.7%) and dysuria (78.3% vs 16.7%). De Sousa Morais N, Pereira JP, Mota P, et al. Percutaneous nephrostomy vs ureteral stent for hydronephrosis secondary to ureteric calculi: impact on spontaneous stone passage and health-related quality of life—a prospective study. Urolithiasis. 2018; published online ahead of print.